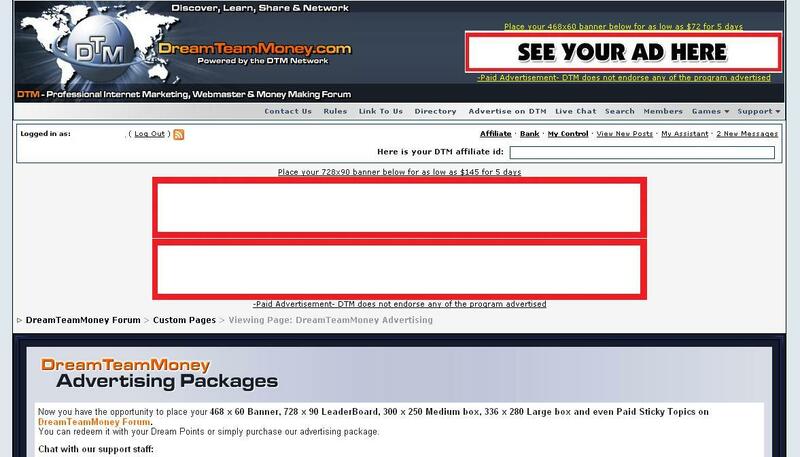 All other Accounts are not ours and should not be paid for Advertising on DreamTeamMoney.com. If for some reason we change our account, it will be changed immediately on this page. Please contact our support staff if you have any further enquires. Now you have the opportunity to place your 468 x 60 Banner, 728 x 90 LeaderBoard, 120 x 120, 160 x 600 Skyscraper Banner and even Paid Sticky Topics on DreamTeamMoney Forum. 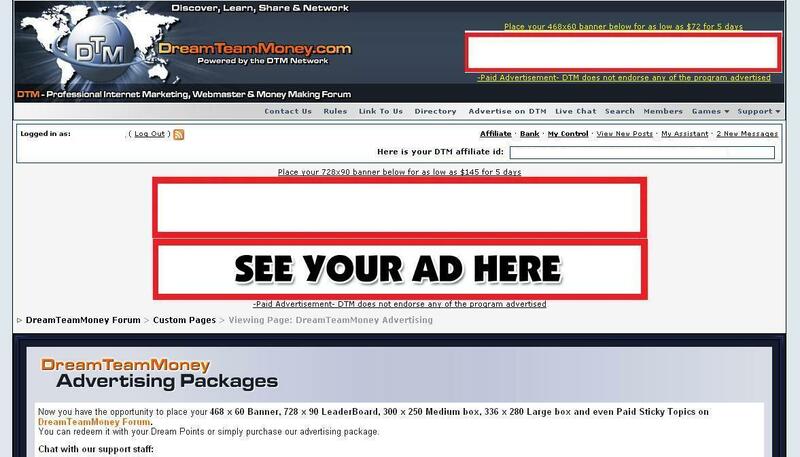 * Websites with titles or URLs containing "DTM" or "DreamTeamMoney"
Notes: Paypal payment have to add 6.5% fee. 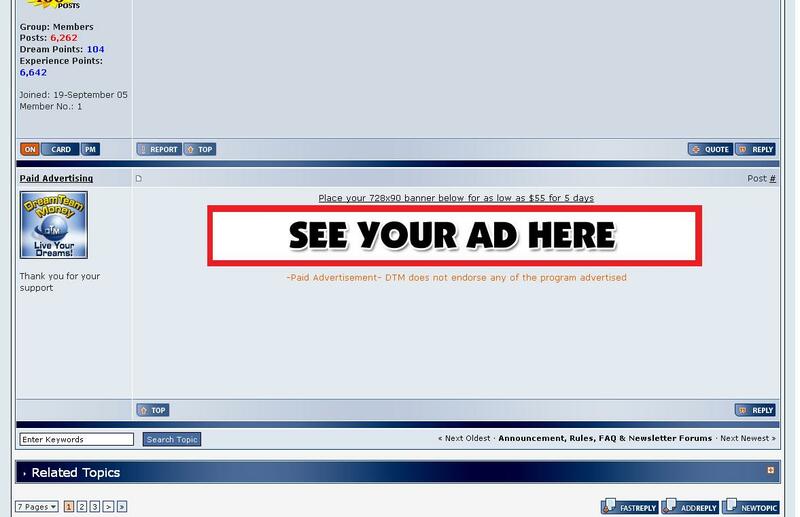 * Please send email to [email protected] with your ads details and the package you wish to subscribe to. * Special Header size advertisements can be setup upon request. Contact us for details. 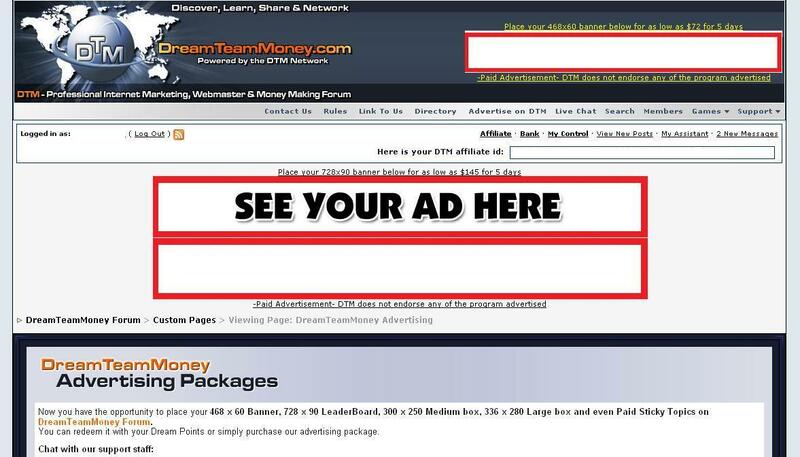 *If your site is gone or proved to be scam, your banner will be removed immediately without any refunds. Please Note that the Price of the Banner Can Skyrocket Anytime Without Warning! Click Here Immediately To Find out our Special Promotion! Before The Price Rockets Up Anytime Now - Without Warning! 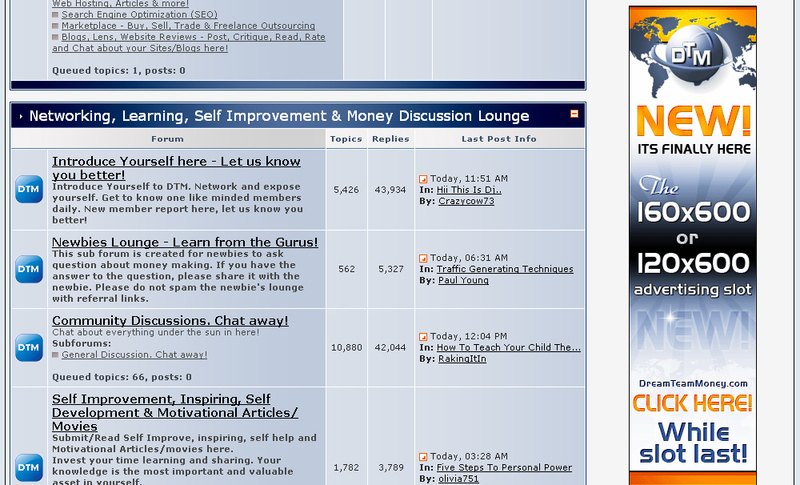 We are also offering Paid Sticky topics in certain sections of DTM. These topics will always stay at the top of each section. Keep in mind that you don't have to be the one that started the topic if you want to pay for it to be stickied! * We are not responsible for failed advertising investments.